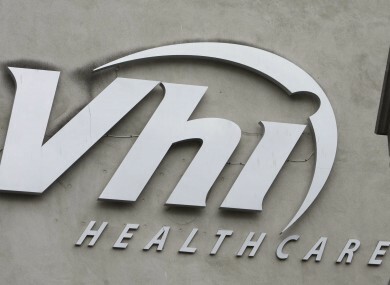 HEALTH INSURANCE PROVIDER VHI Healthcare has said it will increase its prices by up to 3 per cent across most of its plans next month. The price hike will take effect from 22 November and could represent a €100 increase in the yearly cost of health insurance for an average family. A spokesperson for the company said VHI is aware of financial pressures facing customers and has been keen to keep prices as low as possible. “In 2011 VHI Healthcare spent €1.226 billion on meeting our customers healthcare needs and we expect this to increase by a minimum of 6 per cent in 2012,” the spokesperson said. VHI blamed this latest increase on the fact that people are living longer with chronic illnesses which it said is contributing to increased demand and utilisation of healthcare services. The company also said that while it had driven down average claim costs for private hospitals and consultants fees, the cost of public hospitals has continued to rise. The spokesperson said that in order to be sustainable in the long-term the company “needs to price its premiums to reflect the actual cost of delivering healthcare”. This month Aviva healthcare also increased its premiums by up to 7 per cent which will cost families an additional €150 a year. VHI and other insurance companies will appear at an Oireachtas committee meeting on Thursday to discuss the risk equalisation scheme that aims to keep health insurance affordable for older and sicker people. Email “VHI prices set to rise next month”. Feedback on “VHI prices set to rise next month”.